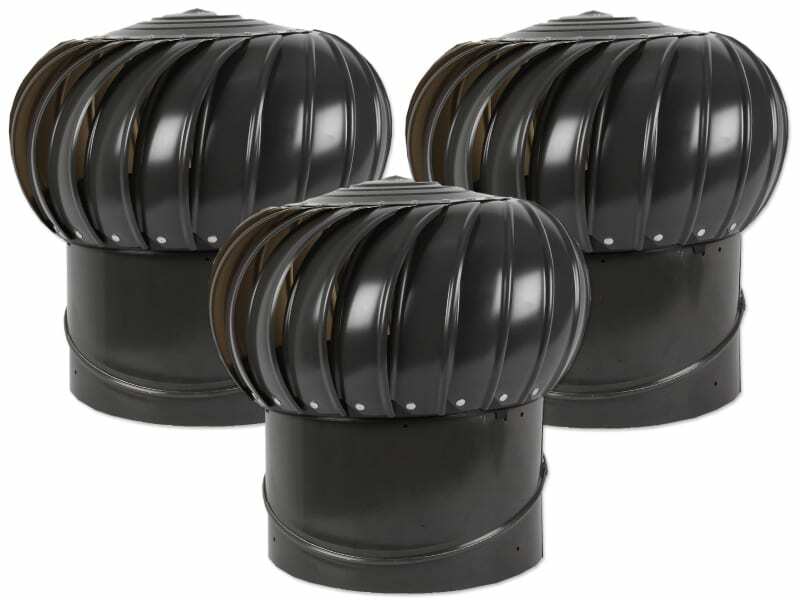 The Power attic vent from GAF is a powered ventilator that removes both humidity and heat from the roof space of your home. GAF offers this model with humidistat and thermostat sensors. You can choose one or both depending on the ventilation needs of your home. 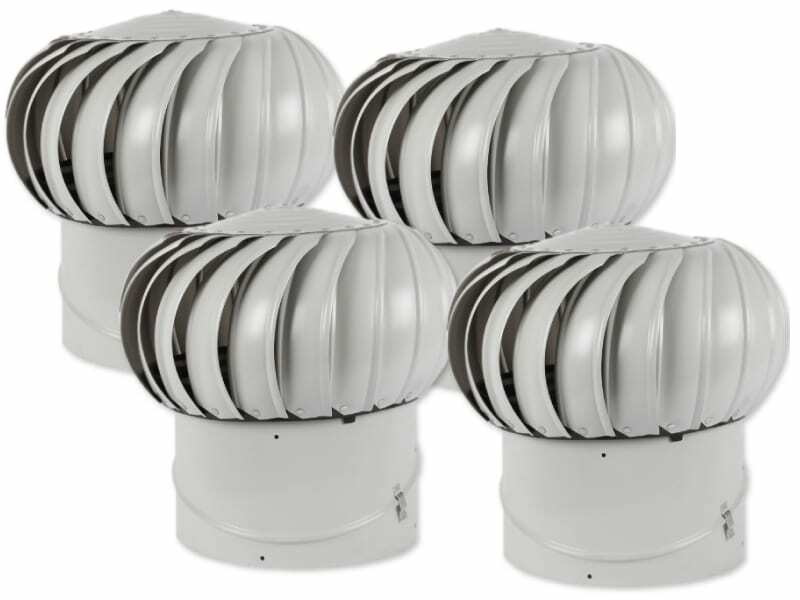 In contrast to the turbo ventilator, the Power Attic Vent has a number of advantages. You can manually turn the ventilator on or off at any time whenever required. The ventilator does not depend on wind energy. 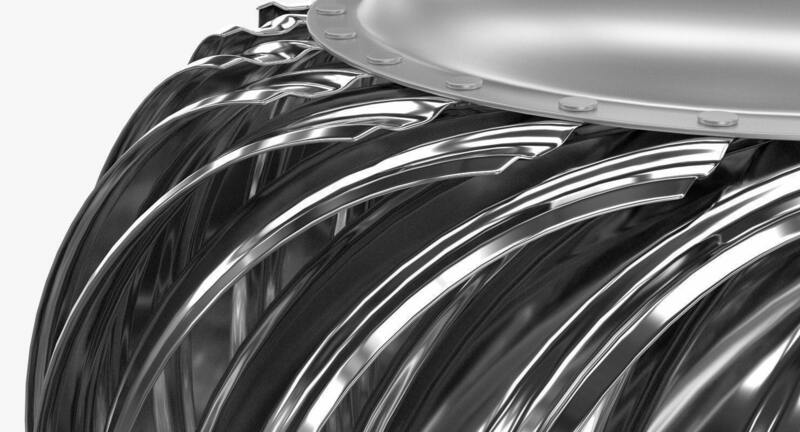 Instead it uses electric power to operate, so it is far more reliable and consistent in its performance. Alternatively, you can leave the ventilator on. 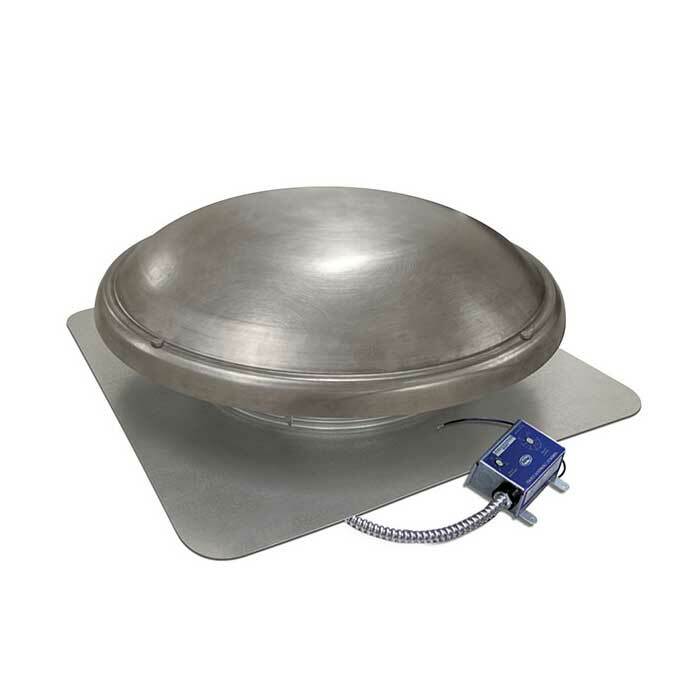 The sensors in the vent will smartly sense the heat or humidity in your ceiling space. When the heat or humidity levels rise above normal, the ventilator automatically starts operating and maintains dry and cool interiors. This also ensures that the ventilator is energy-efficient and does not incur significant energy costs. 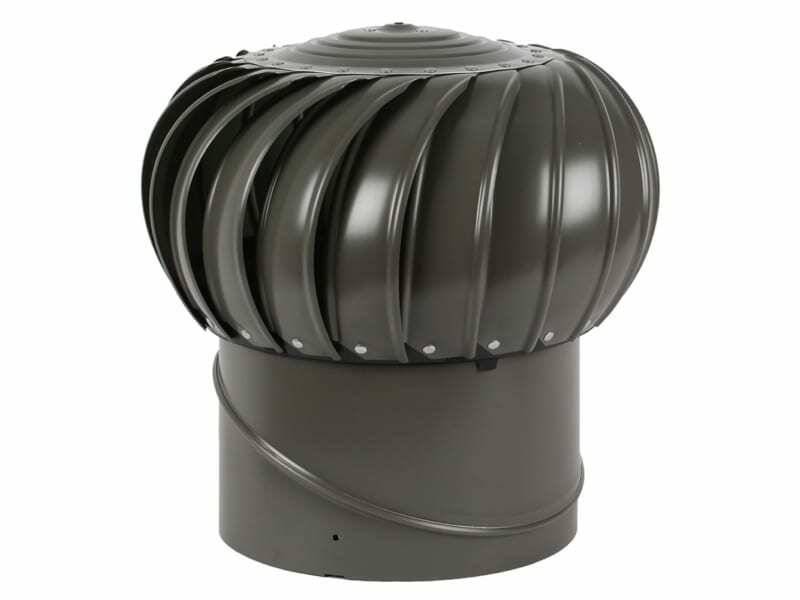 GAF’s Power Attic Vent has a domed design. It has been rigorously tested to withstand adverse weather conditions and comes with an insect and animal screen. An automatic shutter effectively seals the vent when it is not operating to prevent insects, rainwater, snow or dust from outdoors entering through the vent. 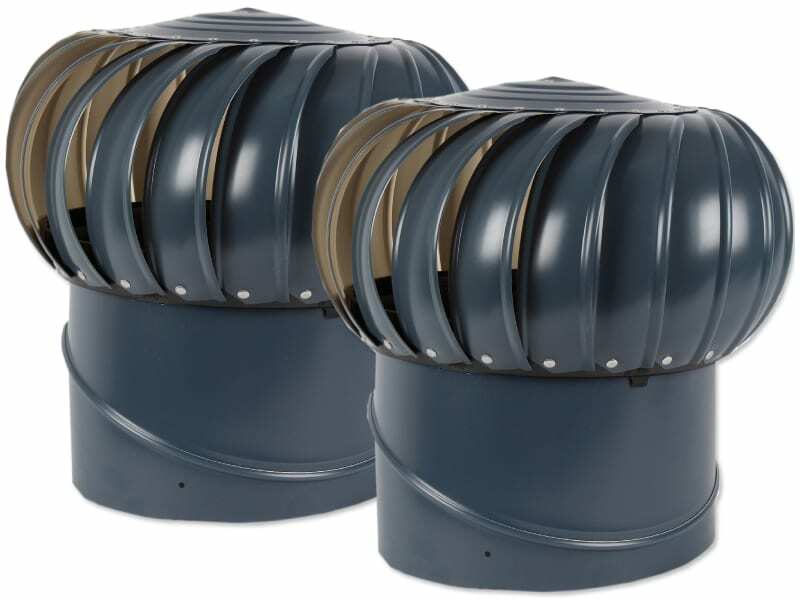 The vent is available in a variety of colour options to match any roof structure or type. GAF has constructed the model using durable aluminium material. A minor downside to this vent is that it is not entirely energy-free like turbo ventilators. Instead, it does consume a small amount of energy on an ongoing basis.